The origin of that great tiki cocktail, the Mai Tai, is murky water at best. To fully understand the where, when, who, why and how of the matter you have to go all the way back to the 1930’s! 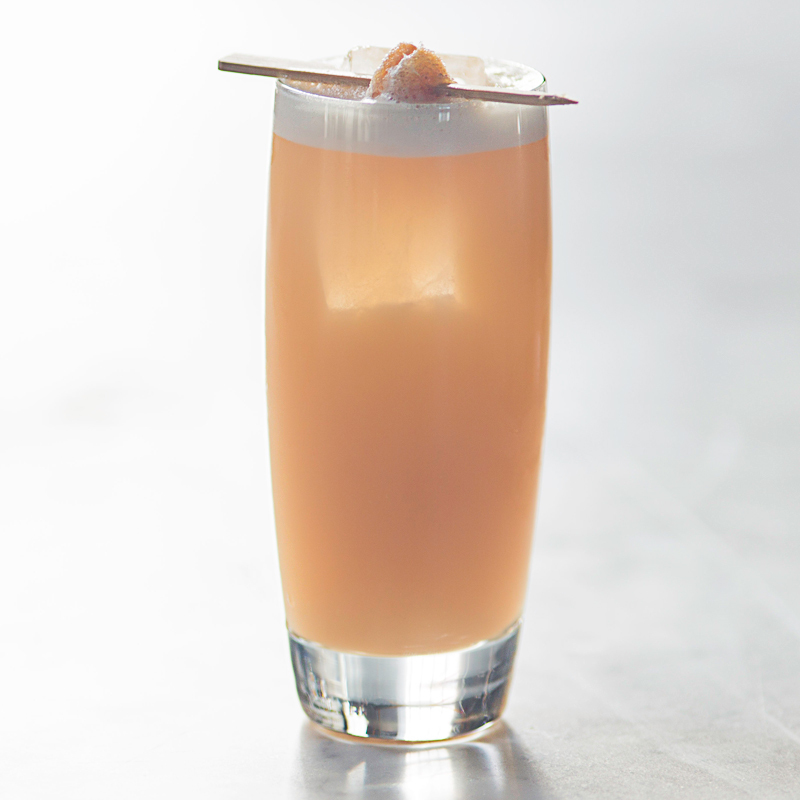 So let’s state for a fact: The Mai Tai was created in California back in the early 1900’s and was created by one of two cocktail legends: Victor ‘Trader Vic’ Bergeron or Ernest ‘Don the Beachcomber’ Gantt. 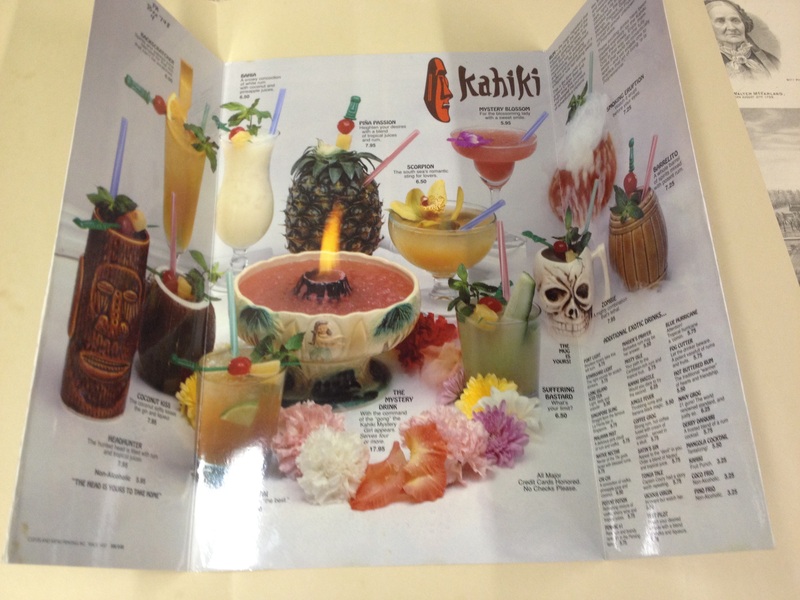 Although not taken directly from a trader vic restaurant this tiki inspired menu looks pretty darn amazing doesn’t it? 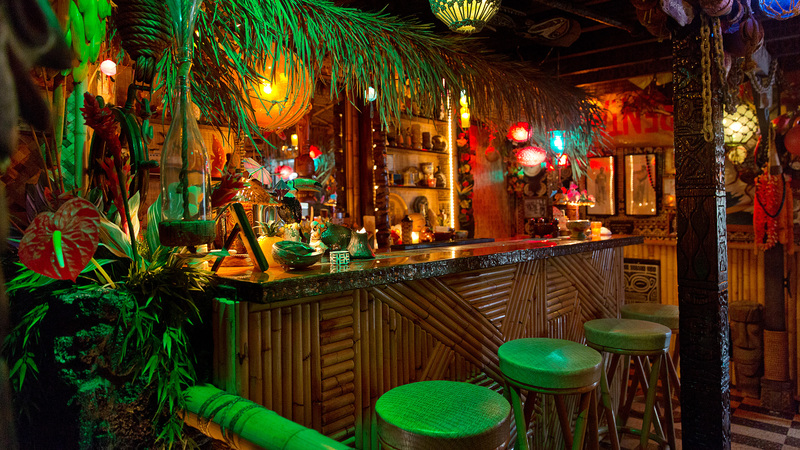 The tiki cocktail started with the opening of the very first ‘tiki’ restaurant back in 1934. Regardless of who invented the Mai Tai, it is clear to see that Don Beach was the first person to start mixing fresh syrups, juices and rum. This practice is what makes cocktail a true tiki cocktail and was carried out by both Vic and beach throughout the renaissance of the tiki cocktail, leading to some of the great cocktails we now see plastered across almost every menu in every bar we ever go to! Of course huge events like the world wars and American prohibition all had extremely potent effects on the course of the tiki cocktail, whether they precede the tiki era or simply occurred during their height. Inevitably the novelty of tiki cocktails and their almost teleportation-like effects wore off and they fell out of fashion during the 1960’s – mainly due to the Vietnam war and an increased sensitivity to indigenous peoples and; the former taking away the ideals of living out your days on a beach paradise pretty much nailed the coffin of the tiki culture firmly shut. Fear Not! Like a phoenix from the ashes the tiki cocktail is back in full force (hurrah). The best thing about reboots is the ability to do something right. Mostly. As a final note: This week will signal the end of my Tiki-Themed month and over the following couple of months I’ll be looking at something a little different. Keep an eye out near the end of the week for some (possibly) exciting news! And here, finally, we have our 4th section of rum: Spiced. This is arguably the most important section of this list as the ‘spice’ in these rums can be what gives a tiki cocktail its kick! There are a couple of rums on here you might need to scour online shops for, but for the most part the rums in this list are readily available in your local supermarket/off licence! Kraken Rum combines two greats: Dark Rum & Spiced rum. And it hits it out of the park! This 40% black spiced rum is somewhat of a genius. 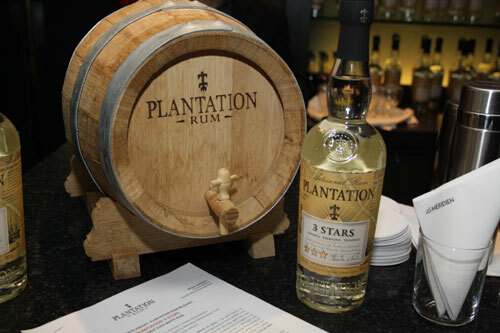 Its quality is unmistakable, earmarking it for greatness in the eyes of rum-tasters. But what really sets it apart from every other bottle of rum on the supermarket shelf is its old-style bottle shape. The traditional handle-necked bottle invokes visions of pirates and the romance often associated with the idea of a free life at sea. Whilst the bottle makes it stand out, it does so knowing full well that the gloriously thick, molasses based alcohol contained within can more than hold its own; one of the only spiced black rums at home being sipped neat as it is swirling around a glass full of lime and cola. This is a perfect topper in a tiki cocktail too! Especially when you do not want to set the house on fire, but still want some theatre to your drink! 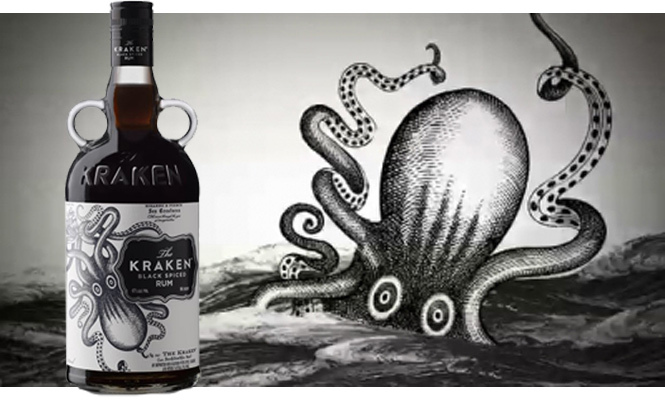 Fervent Shaker insider tip: Made in the USA from Caribbean rum and named after the mythical giant squid-like beast, Kraken rum is fantastic; a black spiced rum that is extremely reasonably priced! What’s more, for a limited time only, the whisky exchange is selling a special pack that includes an awesome looking mason-style glass! Perfect for Kraken’ your bottle open when you get in! Excuse the pun – Sorry, not sorry. One of the favourites of my best mate at university, this rum truly has stood the test of time. In the past 10 years I’ve seen it go from strength to strength and literally fly of the shelves! Perfect for combining with a mixer for a quick drink, this rum is often overlooked in its ability to fill out a cocktail or two. 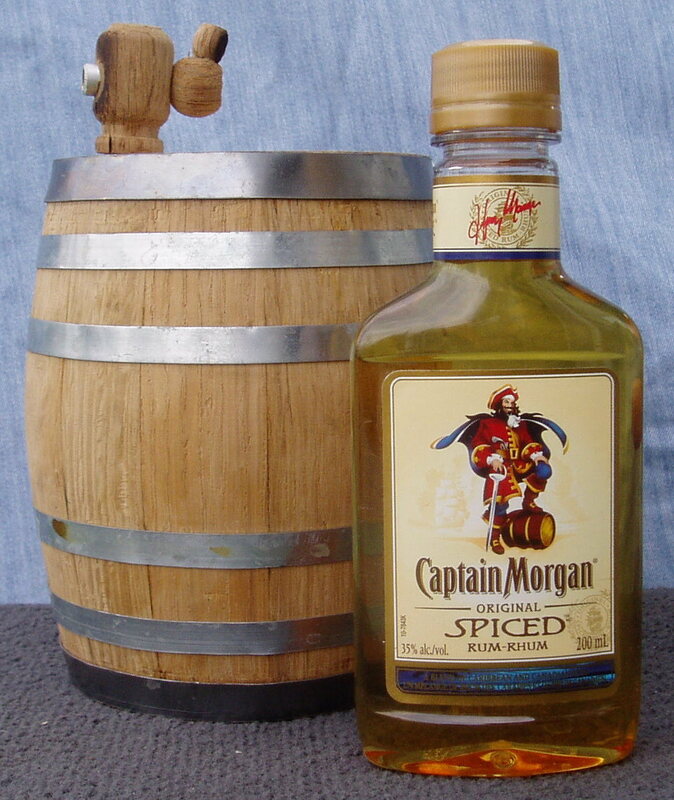 Regardless of your feelings towards it, Captain Morgans Original Spiced Rum is a fantastic addition to any ones tiki-cabinet. Try substituting it into your next Mai Tai, it won’t taste like a classic mai tai, but it will be something a little special I’ll tell you that for nothing! Another original spiced rum, Sailor Jerry’s fits into the ‘classic’ tiki choice section as it comes under one of the mandates set out in my first tiki cocktail post: It’s from Guyana! 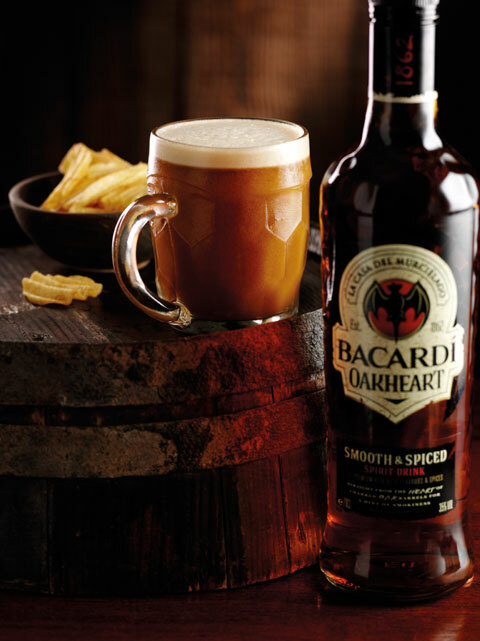 This is the second Bacardi rum to make it into one of my top 5 lists, and it is by far the best of the bunch! I tried this a year or two back and it certainly did not disappoint! Combining a rich hearty gold rum with the heart of charred oak barrels this rum is smooth, spiced and even has a tang of smokiness about it! Wonderful in a Cuba Libre or ‘your own tweak’ on a dark n stormy ‘like’ cocktail this rum is best mixed with other ingredients for sure, but make use of it when creating your tiki masterpieces and you shall never be disappointed! Ok, so here’s another ‘danger’ warning. This rum, at 75.5%, is by far the strongest of all the rums included in any of the previous lists! Thus it should be treated with the upmost respect. This rum was the brain child of Admiral Edward Vernon. 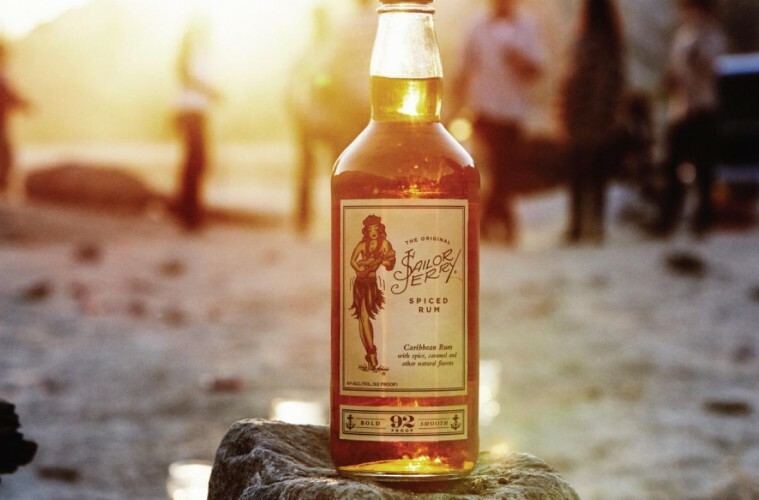 He enforced a strength reduction on the rum the British Navy gave to its sailors (back in 1740). After hearing the complaints of his men however, ‘Old Grog Vernon’ suggested the addition of lime & sugar to help the flavour and make the drink more enjoyable. 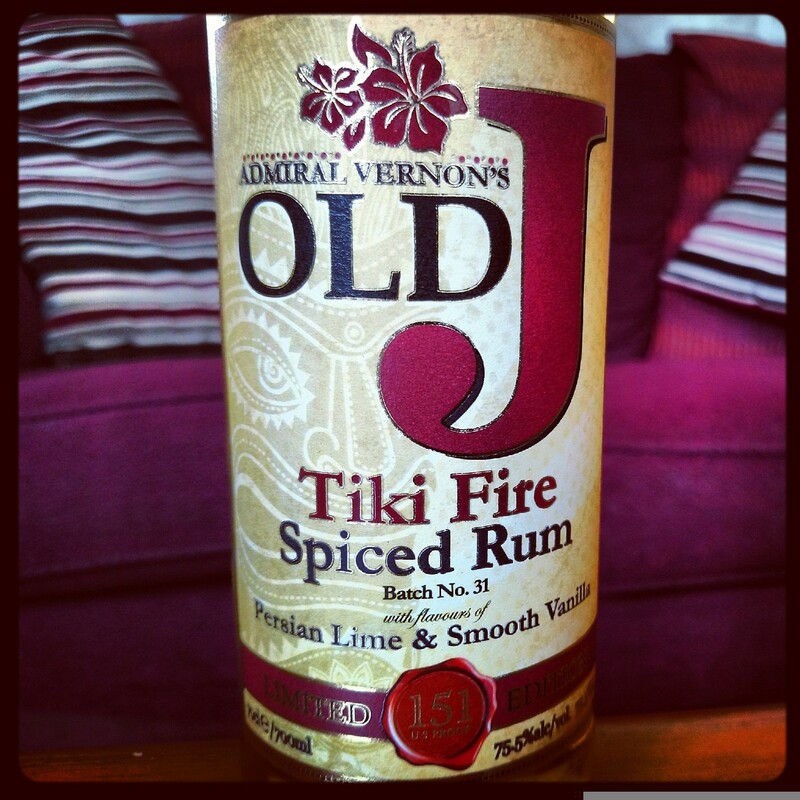 This Old J rum was created in honour of ‘Old Grog’ himself and whilst the strength of the rum has been readdressed, it was increased back to 151-proof [75.5%], it has kept the same balance of spices, lime and sugar that made the original rum a great hit. Fervent Shaker insider tip: Although this rum is perfect for tiki cocktails (it has tiki in its name after all) it is a 151-proof rum and therefore highly flammable! Whilst it gets a little old for me to keep warning you, you seriously need to be careful when handling such high-strength rum. It may taste great, used properly, but when you mess around; things can and will go wrong! Dark rum, the rich and powerful, best kind, of rum! Goslings Dark rum (left bottle) is a delicious and rich Bermudan rum, so good in fact, they even have their very own cocktail trademarked! This brand of rum is one of the best dark rums on the market; its rich, well-balanced flavours make it an ideal choice for tiki cocktails and enjoying with your favourite mixer. 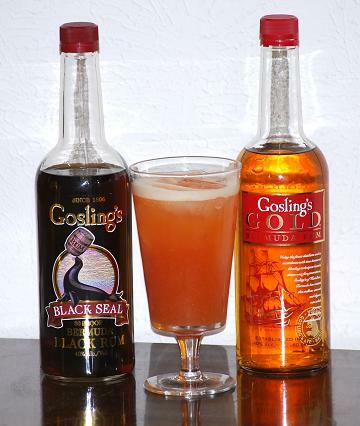 Interestingly the Dark N Stormy cocktail (at least in the USA, Caribbean, UK & most of Western Europe) can only be made with Goslings Black Seal Rum! This is the result of a trademark Goslings started filing back in the 1970’s. Fervent Shaker insider tip: Goslings were the first alcohol company to put in for, and get, a trademark for a cocktail. 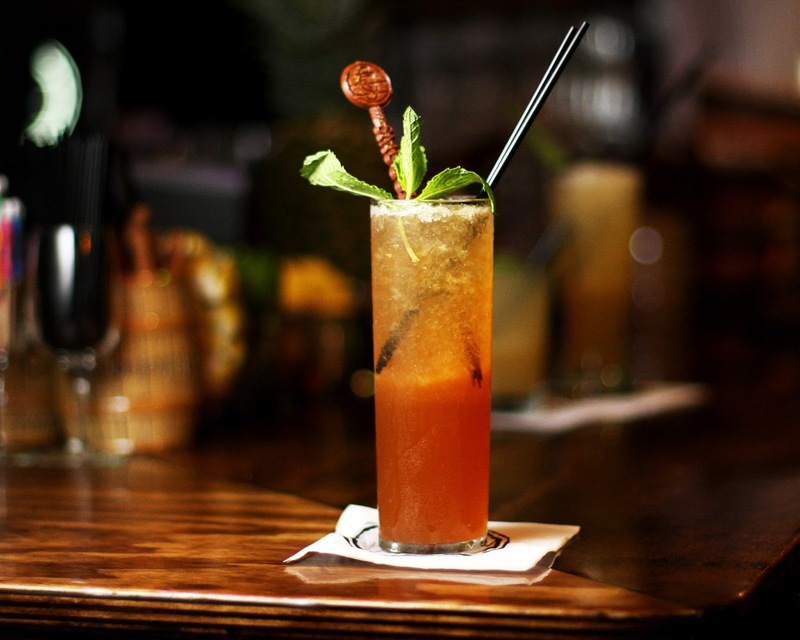 The trademark covers the use of the name ‘Dark N Stormy’ and regardless of the amount of lime or ginger beer used; the rum has to be Goslings Black Seal! 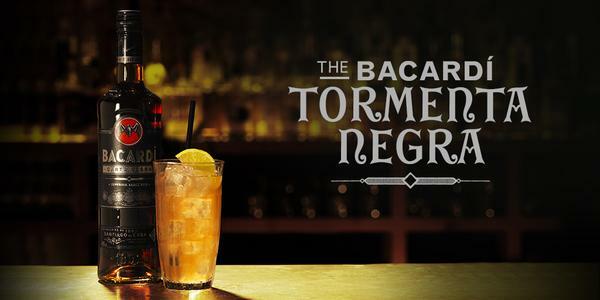 Made in the Cuban style, but exiled to Puerto Rico; Bacardi Carta Negra (Black Rum) is a rich full-bodied dark rum that can hold its own against some of the best. 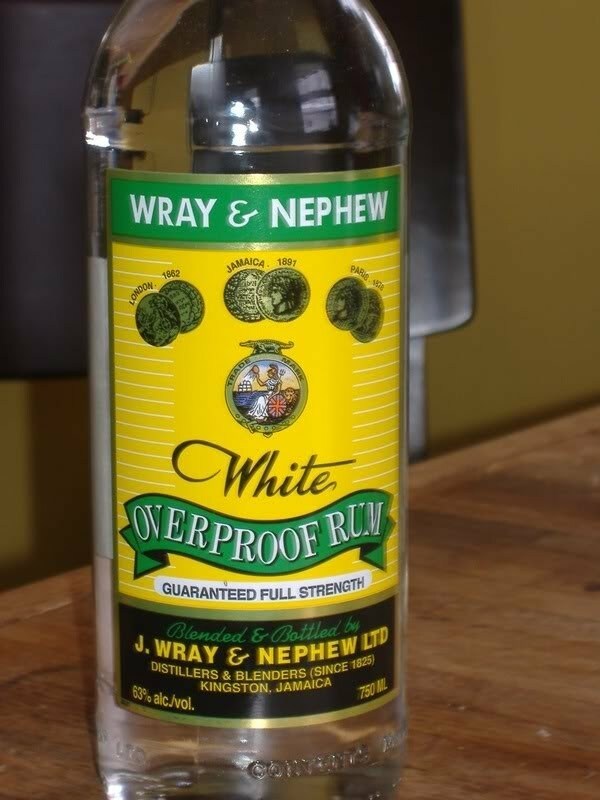 Whilst the price would indicate its relative ‘cheapness’ when compared to some other brands, this rum is intended for the general use of mixing. Whilst it can be sipped, it’s best served in long drinks with cola or juice. Overproof Dark Rum… Dangerous but theatrical in an epic way! Fervent Shaker insider tip: As with all alcohol one should be always be careful. However seeing as this alcohol is overproof (it’s 73% abv) it’s extremely flammable and should not, in any way, be underestimated or used lightly! 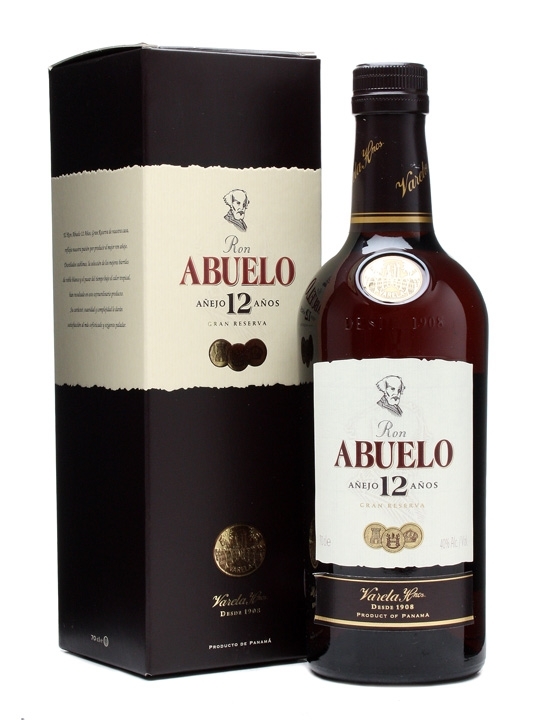 Abuelo Rum, 12 year old. A rich taste and perfect to give your cocktails that added lift! 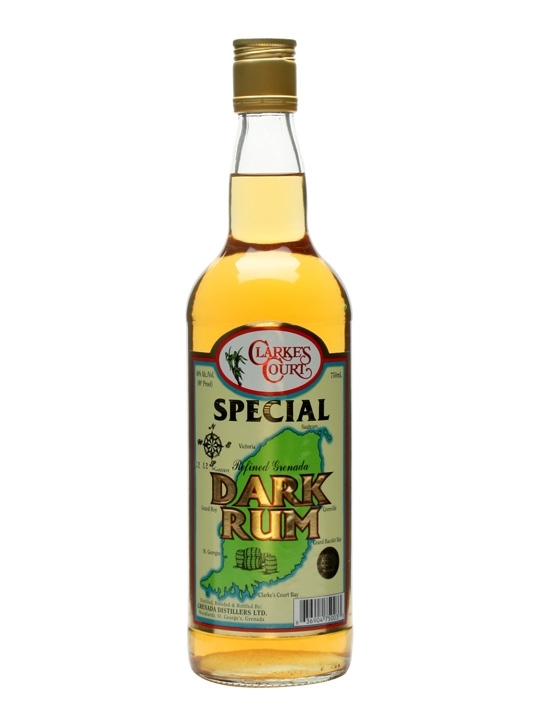 Winner of 9 bronze/silver awards from 2002-2009 (as well as various gold medals) Clarkes Court Special Dark Rum is a 40% abv rum from the shores of Grenada. This dark rum is aged in ex-bourbon casks and is perfect for cocktails as it is considered to be a gentler style of rum; those preferring softer rum have a love for this particular bottle. So there you have it, my 5 top dark rums to use for you tiki cocktails. If you ever get a chance to nab a bottle or two off that list then I suggest you go ahead and give them a go! 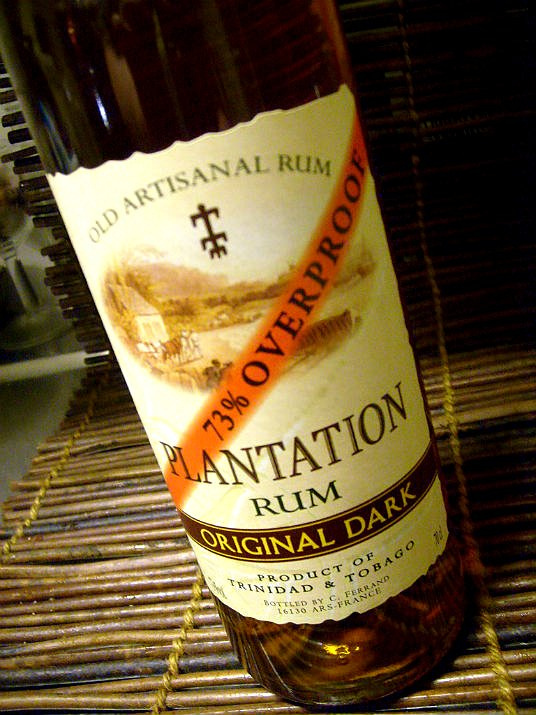 Just be extremely wary of the Plantation overproof 73%!!! Is there a Dark rum you prefer that didn’t make my list? Why not leave a comment below with your choice? Although please understand that tomorrow I’ll be looking at spiced rums as the 4 section and therefore any ‘spiced’ dark rums will possibly be on that list! 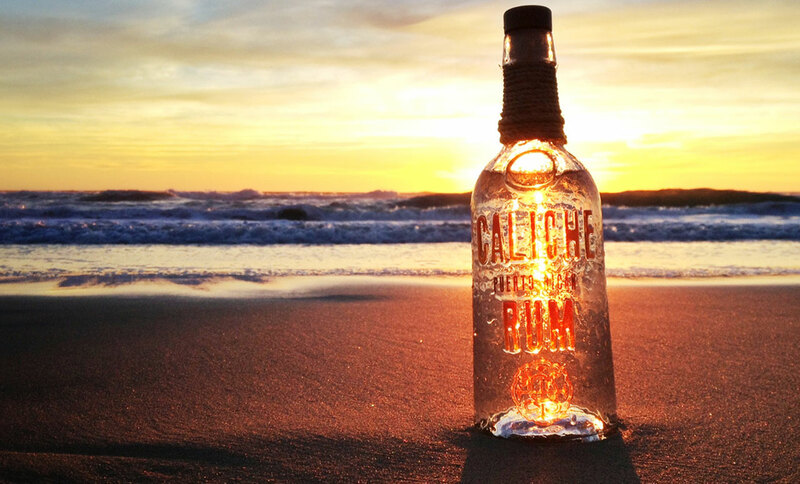 White Rum is the foundation for any rum collection. 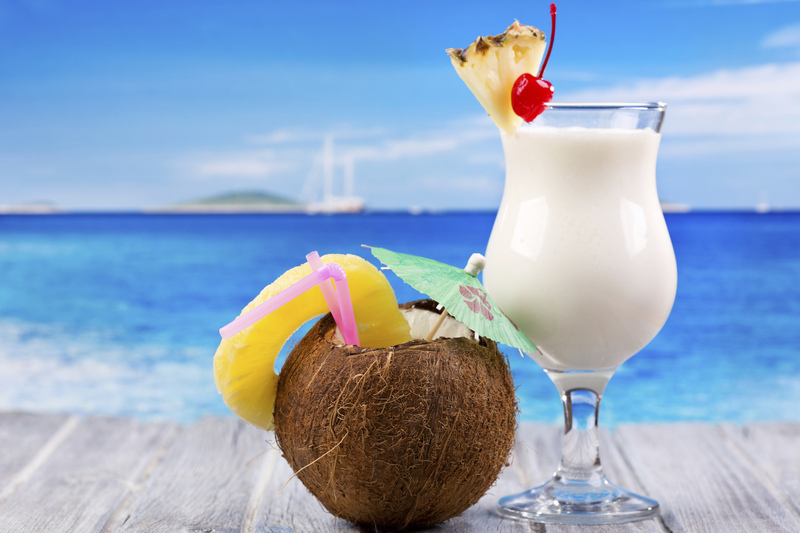 It’s a base for literally hundreds of cocktails, not least some of the most famous cocktails of all time; The Pina Colada, Mojito & Daiquiri all contain this clear elixir! White rum is distilled from the sugar cane plant and can be made using one of two methods: Pot still or continuous still. Some rums use a combination of the two, and all three types have their merits and come-downs. In my first post about tiki cocktails I mentioned that the best rums to start with included rum from Martinique, Jamaica and, of course, a white rum. 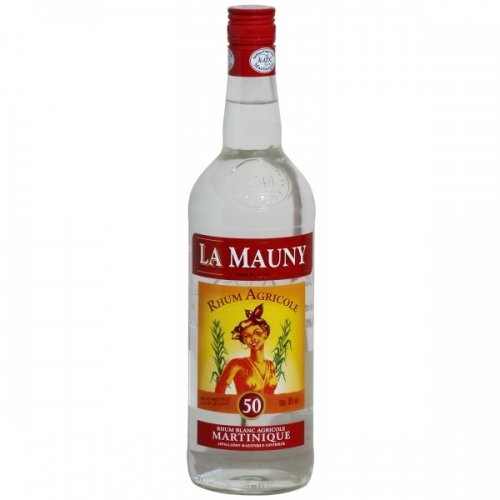 Well this Mauritian white rum is a perfect shoe-in if you’re unsure of which white rum to choose. 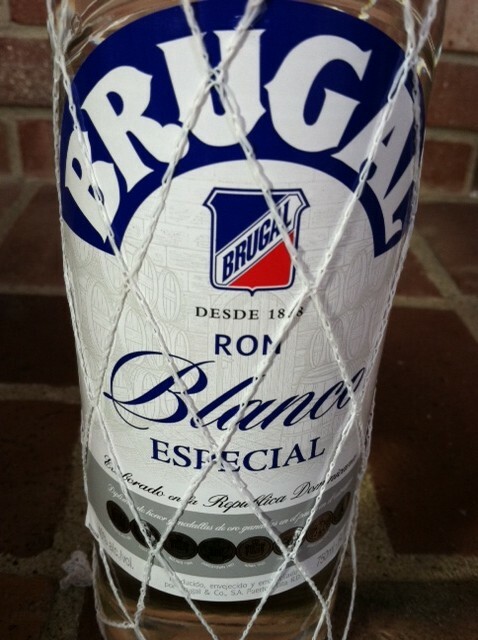 Brugal Blanco is a white rum all the way from the Dominican Republic. Its process includes ageing rum for 2-5 years in old American oak bourbon casks. The rum is then triple filtered, removing the colour, and that leaves you with a rum that’s as smooth as super-premium vodka but with all the character you get from premium rum. Basically it’s pretty darn good! Fervent Insider Tip: Brugal is one of my favourite rum brands and this is one of my go-to white rums for new exotic cocktails; its smoothness compliments the addition of various fruit juices and syrups perfectly. 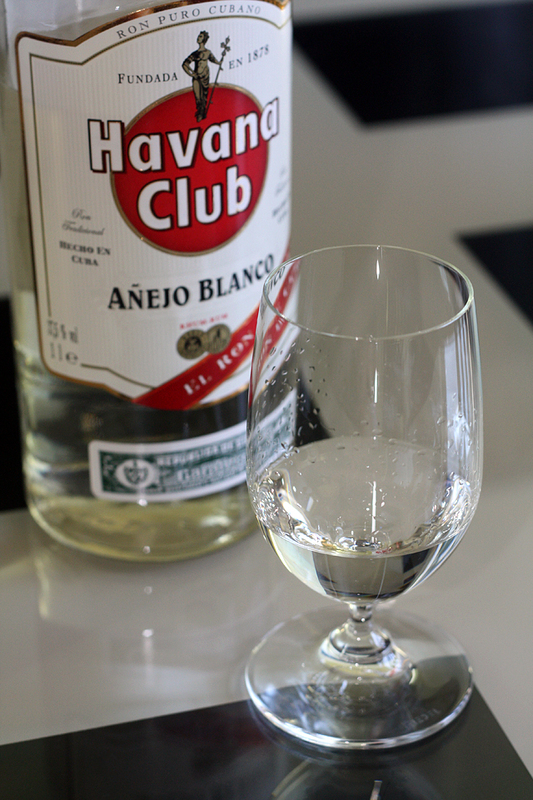 One of my long standing favourites, Havana club has a superb collection of rums, so much so that they could potentially be on all 4 of these posts, but alas the one I’ve chosen is arguably their most versatile Anejo rum: their 3yo Blanco. Found readily in your local supermarkets, this rum is a quick journey away from becoming part of your now-growing rum library! Aged for 3 years in Cuba this light yet crisp rum is fantastic in those famous Cuban cocktails, but it also works miracles in classic tiki cocktails like the Pina Colada! 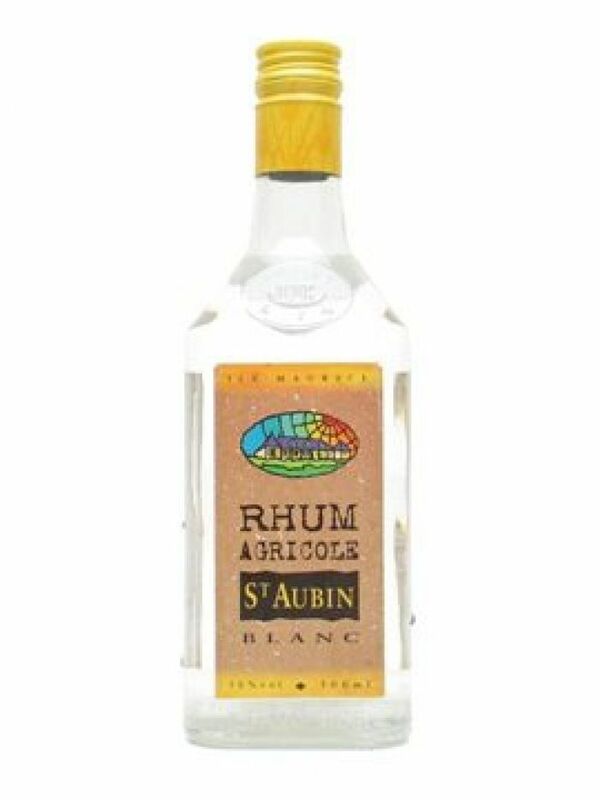 This rum from Martinique, one of the countries mentioned in my first post, is a clear white and has a strong 50% abv. With this in mind it is one of the stronger rums on this list and is more suited to the fruit juice laden concoctions that make tiki cocktails so popular. Fervent Shaker insider tip: Coming in at just under £30 this rum is a bit steep compared to supermarket brands and even some better known brands. But unlike a lot of things in this world, when it comes to Rum, as well as straight alcohol in general, you pay for what you get. Tiki cocktails have, traditionally, always used rum in some form or another. The thing is; rum doesn’t just come in 1 style. Just go to your local supermarket, find the alcohol department and you’ll see just how many brands there are. Whilst you can split rum up into the 4 main types: White, Gold, Dark & Spiced; the complications for choosing one to make your tiki cocktail arise when you look a little closer. Whilst the branding of a rum will be the easiest way to determine a difference, there are also differences in styles. The style of a rum is determined by several factors. These can include the type of still used, the type of sugar-base* used even the area of which thee rum is distilled can affect the style, and therefore the taste, of a rum. Just like with the difference between different Whiskies there is an equal difference between any two rums. *All rum uses sugar as a base for the alcohol, but some use molasses (a thick black liquid) and others use sugar cane. The results are often significantly different – with the processes using molasses usually resulting in a darker more viscous end product. Where has all the rum gone? – Jamaica, Guyana, Martinique, Cuba & Puerto Rico, that’s where! There are not many Tiki themed cocktail bars in my local area [Sad face] and therefore my exotic getaways are restricted to what I make for myself, unless I want a poorly made Pina Colada – everywhere sells those! Unfortunately, for me at least, that means that certain products are only available seasonally and whilst most would argue that the need for a tiki cocktail in the winter is not quite like it is when in the height of summer, I feel that it’s my right to be able to get a decently made tiki cocktail whenever I want! So whilst I struggle on with my local bars and pubs, trying ever so hard to find at least a good tiki cocktail, I dream of bigger and most definitely better things: A great tiki cocktail! So whilst I yearn for well-made and great tasting tiki, I had a thought: What exactly makes a great Tiki cocktail? I mean I know how to make all the classic tiki cocktails: the Mai Tai, Zombie, even the often poorly made Pina Colada; but what is the history of this exotic cocktail genre? 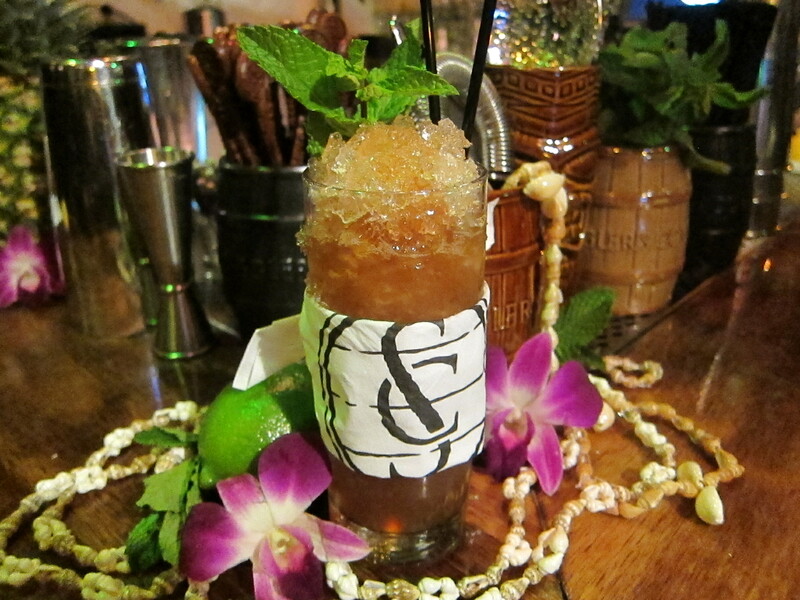 And what does it mean to drink a Tiki drink like the Mai Tai? Well here I look to share some of the discoveries I’ve made whilst trawling through the endless recipe pages the internet unsurprisingly supplied… I’ll even throw in three (3) of my favourite classic tiki cocktails for good measure! Forget the gold rush and mid-west gunfights; the biggest rush of recent American history was the rise of the Tiki cocktail. 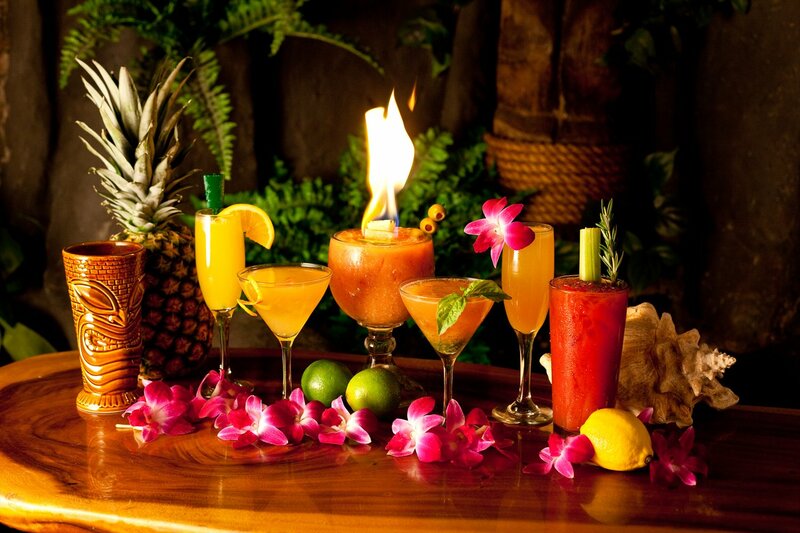 Tiki cocktails came from seemingly nothing and, spearheaded by two particular individuals, rose to become one of the most popular cocktail genres of the current time! But a little more about that a little later. What tiki cocktails are meant to provoke are memories of exotic locations and beach side haunts. At the very least they’re meant to help take you away from the everyday trivialities of life. Tiki cocktails are more than just another genre of cocktails, and it’s all too easy to think of them as just rum cocktails and this is the unfortunate trap a lot of bars that serve these cocktails fall prey to. A tiki cocktail, by general definition is a cocktail that uses Jamaican rum, Martinique rum and then a combination of syrups, juices and other liqueurs. The importance in that definition is the first two ingredients: 2 types of Rum. Although other spirits are being used more and more – this is in no way a bad thing! The overall definition is a little open to interpretation and whilst some die-hards will tell you that “a tiki cocktail simply has to contain rum” most bartenders and mixologists understand that restricting ones pool of inspiration is a bit short-sighted. After all you can make an old fashioned with rum, why not a tiki cocktail with scotch? 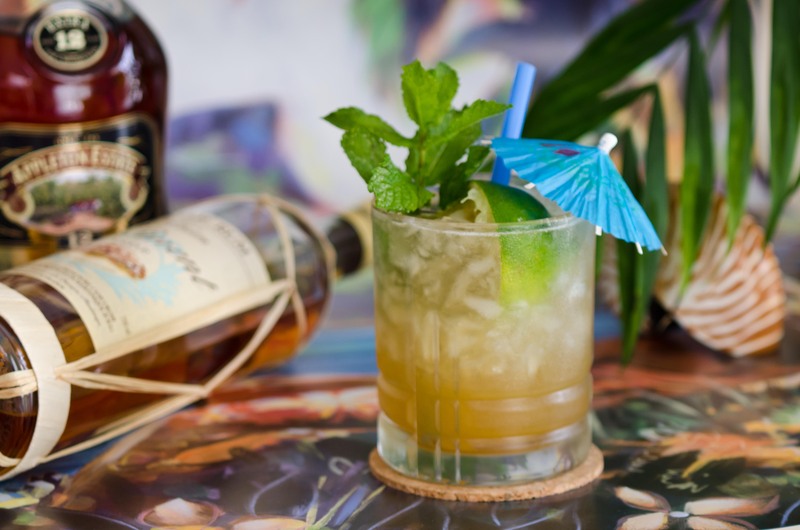 It might seem a little contradictory but when you think about the most famous tiki cocktails they always almost contain rum as a base spirit. This is no coincidence as back during their infancy, tiki cocktails used rum exclusively. It’s only been in the most recent times that tequila, vodka and whisky – among other spirits – have been used. 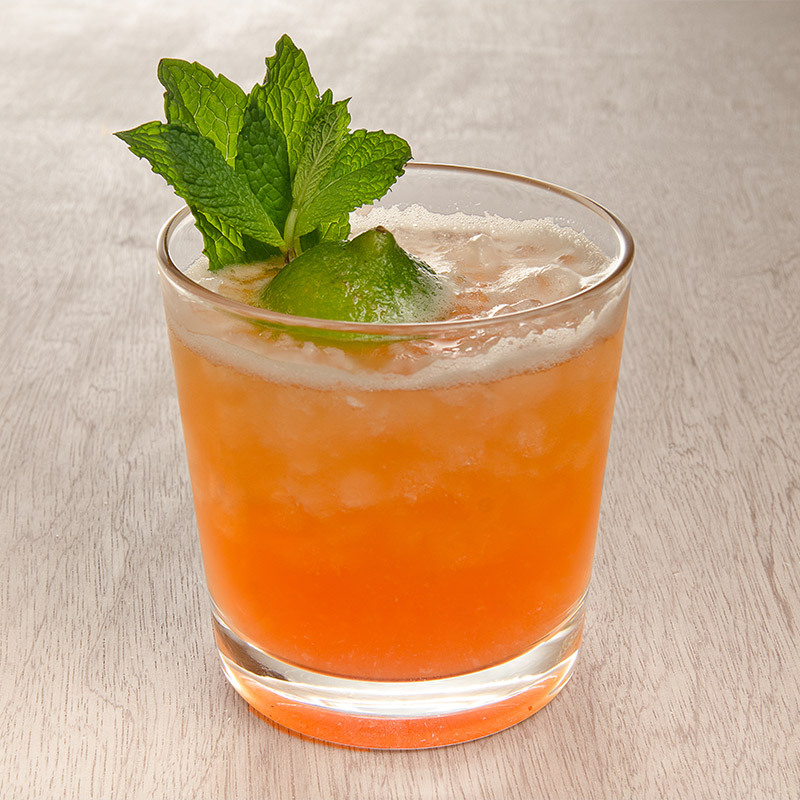 It is the classic nature of these cocktails, as well as other rum-based tiki cocktails, that give rise to the stigmata of using other spirits. Once you have the rum you simply need to pay a visit to your local supermarket/green grocers and do one of two things: Decide on your laziness level! Pineapples, mangoes, passion fruit, dragon fruit, lychee, oranges, lemons, limes and of course coconuts. Feel free to experiment with literally any exotic fruit you can lay your hands on. 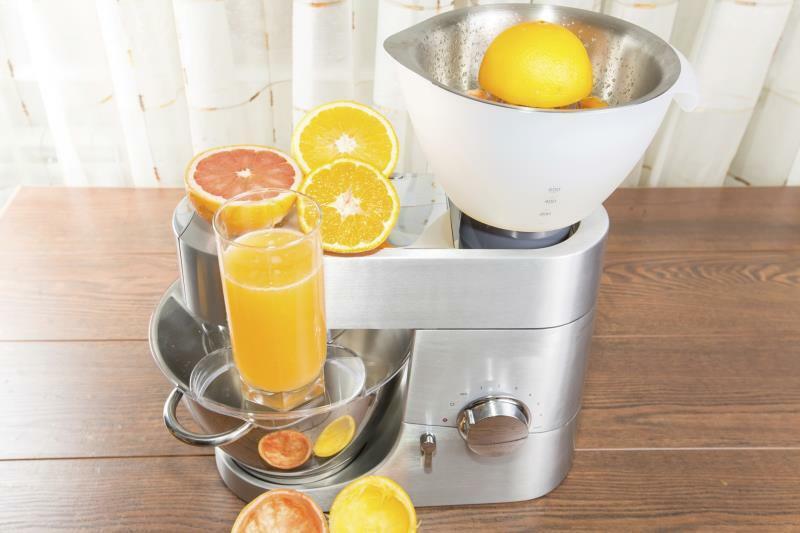 Then simply blend the ingredients up to create truly fresh fruit juice for your cocktails! 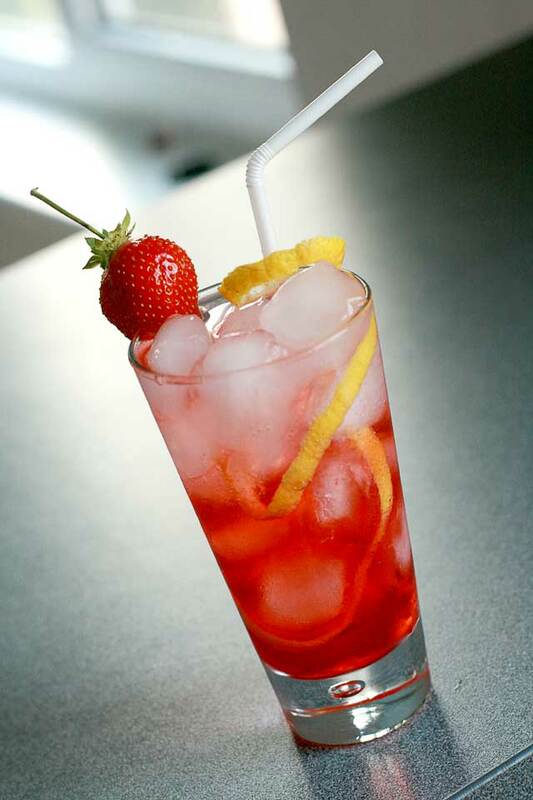 You can also use chunks and slices of the same fruit for creating home-made sugar syrups, which can really help to add further depth in taste to your cocktails. Everyone knows the fresher the juice the better. All I know for sure is that fresh-squeezed = better tasting. Decent glassware and garnishes: Get a decent hurricane glass (or two) and also some nice straws. You can also go all out on the garnish, using umbrellas and various fruit twirls etc. but I prefer it when the motto less = more is in effect! Once you have all the things mentioned above you’re ready to move onto the recipes! So what are the most famous tiki cocktails? Obviously everyone knows of the main 3 cocktails: The Mai Tai, The Zombie and of course that sleeper tiki big-hitter: The Pina Colada. How to make a Classic Tiki cocktail at home? 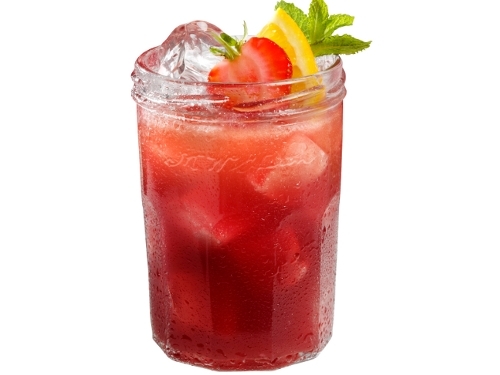 Rum + Fruit Juice + Syrup = COCKTAILS O’CLOCK!!! Combine all of the ingredients (except the garnish) in an ice filled shaker and shake well – for around 10-20 seconds [or until the tin ices over]. Strain the mixture into a rocks glass full of crushed ice and garnish with a sprig of mint and a lime wedge/wheel/twist [whichever you prefer]. Originally created by the original beachcomber himself, it contains a super-secret ingredient which for years was just that: secret. Turns out it was just a mix of grapefruit and cinnamon syrups! Blend all the ingredients together, with ice, for about 5-10 seconds (high speed). Pour the mixture into a chimney* glass and garnish with a sprig of mint! * A chimney glass is a type of glass you are already probably aware of and, depending on their shape/size, are known by several names: The delmonico, The collins & The highball. Blend all of these ingredients together and strain into a well-chilled hurricane glass and garnish with a wedge of pineapple, a couple of cherries and, if you’re feeling exceptionally exotic, a decently sized pineapple leaf. So there you go! 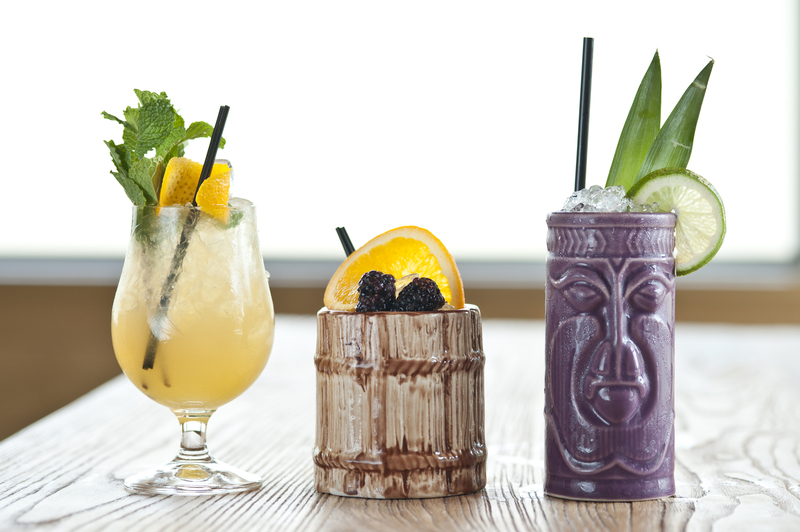 3 classic tiki cocktails 1 from each of the ‘fathers of tiki’ and of course everyone’s summer classic: the Pina Colada.